In late 2016, Southwest Airlines announced an additional perk for their elite A-List and A-List Preferred flyers. 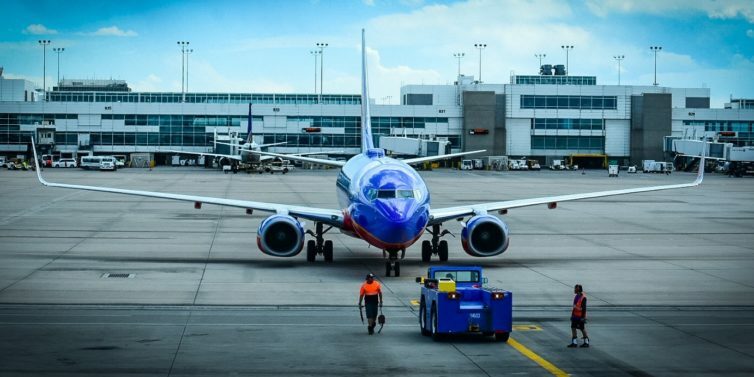 While other airlines were busy devaluing their own programs, Southwest was, in what has become very “Southwest” bucking the trend and enriching their own. At the time the stipulations were that A-List members could fly standby on any same-day flight between the same city pair. The perk came with a major limitation, however. The earlier flight had to be within two hours of the confirmed flight. This proved to be a major limitation for me with my home airport being in Kansas City, Missouri. I wasn’t alone in being unable to make much use of the perk. Many elite flyers based in the mid-sized cities Southwest dominates expressed dissatisfaction. In a surprise revision, just six months later the airline announced the two-hour restriction would be lifted. In doing so, Southwest opened the opportunity for a more equitable exploration of the benefit while also signaling that they take customer feedback seriously. This update was big news for the business flyers (self-included!) the airline has increasingly built its business reliance on. As it turns out, finding an opportunity to check out the new perk wouldn’t come for over a year. I spent last week in Denver and as luck would have it, I was able to break away from a grueling series of meetings early on Friday. I hadn’t done my homework on the new perk, I just knew it existed and had kept it in the back of my mind. While on the train back to the airport, I checked the app to see if there was an option to get listed for the earlier flight. No luck. Southwest’s app is pretty basic, so no harm there. I recognize similar benefits via other airlines are more mobile-friendly. It would certainly be value-added to include that in a future update. Unsure of next steps, and preoccupied with my trek back to the airport, I tweeted @SouthwestAir for a quick primer on the logistics of getting the adventure started. @SouthwestAir Hey, Friends! Where do I go to roll the dice in the A-List Priority standby game? Ticketing, gate for flight I want to make? Somewhere else? TY in advance. The Southwest social team was quick to reply with guidance that essentially any employee can help to get me listed. I chose the desk nearest to the earlier flight staffed with a smiling agent. I explained my intent and provided my ID. In what had to be no more than a two-minute interaction, I was added as the only name on the standby list for the full, but not oversold flight. I was told to check back in 90 minutes (shortly after boarding would begin) to see if anything had changed. 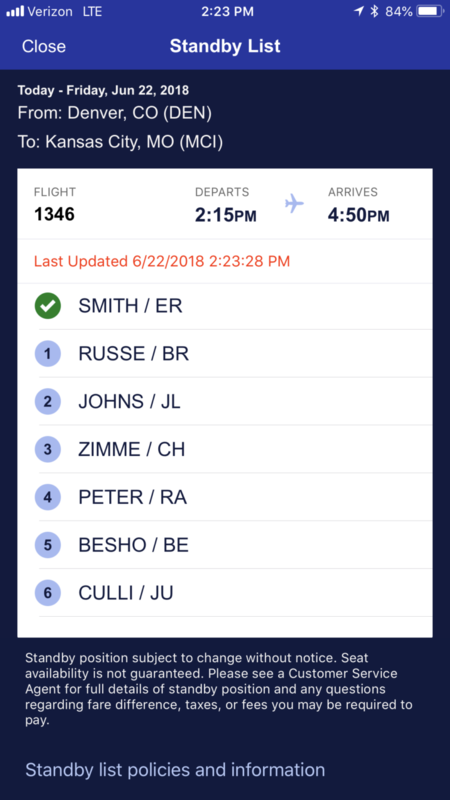 Since the mobile app didn’t seem to support listing for A-List Same-Day Standby I was surprised to see it did have a feature to see where I stood in the pecking order for the one open seat. Messing with my phone I almost didn’t notice that the entire “A group” had boarded and they were halfway through “B.” It was time for me to pull the plug. As a rule, I don’t voluntarily “do” middle seats and at this point in boarding even if I scored a seat (unlikely) I don’t think I would have wanted it. I thanked the agent for her time and asked her to remove me from the list. My first attempt to exploit the new (to me) A-List Same-Day Standby benefit was a wash. But I wasn’t let down. I had a confirmed seat (with a good boarding position) locked in for a flight roughly two hours later. 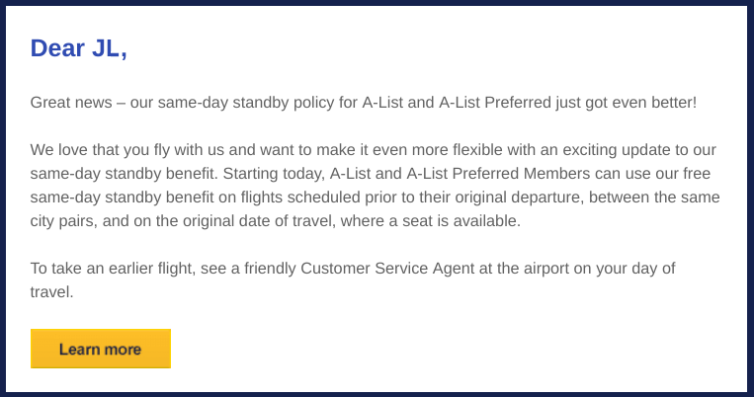 The A-List Same-Day Standby benefit is a great way for the airline to optimize loads by shifting folks to earlier flights and making room for last-minute sales, missed connections, passenger re-accommodations, and non-rev travelers. It’s a win-win-win, for customers, employees, and the company. As evidenced by my own narrative, it’s not a guarantee. Some of my peers at the desk seemed entitled and pushy. Don’t be those guys and ruin it for the rest of us. If your travel policy allows for last-minute changes, that’s still the best bet. If you have A-List status, you can still board between groups A and B. Depending on the flight load, you might not get a confirmed seat until after most folks have boarded. If the prospect of a middle seat concerns you, this might not be for you. It was a good learning experience and it’s a perk I look forward to trying again with my A-List fiancé at some point in the future. The post Rolling the Dice with Southwest Air’s A-List Same-Day Standby Perk appeared first on AirlineReporter.